Meet Inspiring Speakers and Experts at our 3000+ Global Events with over 600+ Conferences, 1200+ Symposiums and 1200+ Workshops on Medical, Pharma, Engineering, Science, Technology and Business. 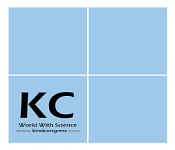 Conference Series LLC Ltd invites all the participants across the globe to attend '24th World Congress on Pharmacology' during August 19-20, 2019 at Vienna, Austria which includes prompt keynote presentations, Oral talks, Poster presentations and Exhibitions. Pharmacology 2019 focuses on the importance to understand drugs and how they can affect human physiology. 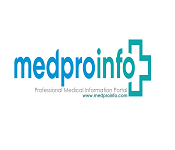 It is with better understanding of Pharmacolo­gy one can know the right dosage and dosage forms of drugs. 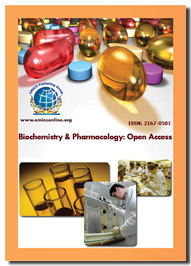 More research in pharmacology deals with identifying and responding to drug interactions and its side effects along with its mechanism of action, its therapeutic index and thereby treat ac­cordingly. More intensive study with the interaction between drug and its therapeutic effect helps to identify the properties of ideal drugs. 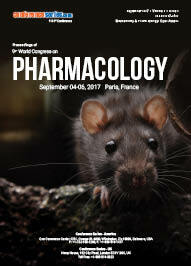 Join your peers around the world focused on learning about Pharmacology and related advances, which is your single best opportunity to reach the largest assemblage of participants from the Pharmacology community, conduct demonstrations, distribute information, meet with current and potential professionals, make a splash with a new research works, and receive name recognition at this 2-day event. 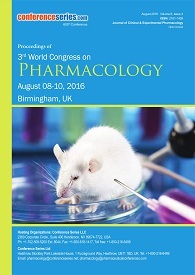 World-renowned speakers, the most recent research, advances, and the newest updates in Pharmacology are hallmarks of this conference. 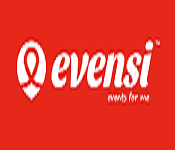 Manufacturing Medical Devices Companies, CRO and Data Management Companies. Pharmacology is a branch in science concerned with the effects of the drugs on living organisms (pharmacodynamics) and the effects of living organisms with the drugs (pharmacokinetics). This subject embodies drug composition and properties, interactions, toxicology, therapy, and medicinal uses such as application and antipathogenic capabilities. 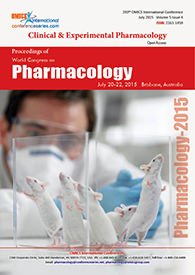 Pharmacology is subdivided into two categories as mentioned above, pharmacodynamics and pharmacokinetics. Pharmacodynamics deals with chemical interactions with body/cell receptors. Pharmacokinetics, on the other hand, deals with the four stages of chemicals passing through the body: absorption, distribution, metabolism and excretion. Societies in USA: American Association of Pharmaceutical Scientists, American Association of Pharmacy Technicians, American College of Clinical Pharmacology, American College of Clinical Pharmacy (ACCP), American Institute of the History of Pharmacy. Neuropharmacology is the study of how drugs affect cellular function in the nervous system, and the neural mechanisms through which they influence behavior. There are two main branches of neuropharmacology: behavioral and molecular. Behavioral neuropharmacology focuses on the study of how drugs affect human behavior (neuropsychopharmacology), including the study of how drug dependence and addiction affect the human brain. Molecular neuropharmacology involves the study of neurons and their neurochemicallinteractions, with the overall goal of developing drugs that have beneficial effects on neurological function. Both of these fields are closely connected, since both are concerned with the interactions of neurotransmitters, neuropeptides neuro hormones, neuromodulators, enzymes, second messengers, co-transporters, ion channels, and receptor proteins in the central and peripheral nervous systems. Studying these interactions, researchers are developing drugs to treat many different neurological disorders, including pain, neurodegenerative diseases such as Parkinson's disease and Alzheimer's disease, psychological disorders, addiction, and many others. Toxicology is the scientific study of adverse effects that occur in living organisms due to chemicals. It involves observing and reporting symptoms, mechanisms, detection and treatments of toxic substances, in particular relation to the poisoning of humans. disturbance in growth patterns, discomfort, disease and death. Forensic toxicology is the use of toxicology and other disciplines such as analytical chemistry, pharmacology and clinical chemistry to aid medical or legal investigation of death, poisoning, and drug use. The primary concern for forensic toxicology is not the legal outcome of the toxicological investigation or the technology utilized, but rather the obtainment and interpretation of results. A toxicological analysis can be done to various kinds of samples. A forensic toxicologist must consider the context of an investigation, in particular any physical symptoms recorded, and any evidence collected at a crime scene that may narrow the search, such as pill bottles, powders, trace residue, and any available chemicals. Provided with this information and samples with which to work, the forensic toxicologist must determine which toxic substances are present, in what concentrations, and the probable effect of those chemicals on the person. The Department of Molecular and Clinical Pharmacology is dedicated to define disease processes, understanding both drug actions and adverse reactions, developing novel therapeutic strategies for intervention and optimizing the benefit–risk ratio of current and new drugs. We are based within the Institute of Translational Medicine, whose overall aim is to take basic scientific understanding and translate it into innovations for the benefit of patients, the public and health systems across the world. Concept of Pharmacovigilance and its Significance enhances the impact of pharmacovigilance on patient welfare and public health and to know what is pharmacovigilance. This track gives a brief discussion on Pharmacovigilance role in healthcare system. Pharmacovigilance legislation gives an outlook on the rules and laws to follow in Pharmacovigilance practice. The Role of Pharma industries in the improvement of pharmacovigilance system is very crucial to maintain the safety data, Detection and Evaluation of drug safety signals through manual and medical devices reporting. Pharmacovigilance scope also deals as Ecopharmacovigilance (EPV), pharmacoenvironmentology and pharmacovigilance in herbal medicines. 4th Conference on Antibiotics Conference; June 14-15, 2019, Barcelona, Spain; 13th European Pharma Conferences May 07-09, 2019 at Frankfurt, Germany; 5th International Conference on Advanced Clinical Research and Clinical Trials, September 10-11, 2018 at Zurich, Switzerland; 12th European Biosimilars Congress, April 15-16, 2019 Berlin, Germany; 21st Annual European Pharma Congress May 20-21, 2019 Zurich, Switzerland; 4th International Conference on Drug Discovery and Advanced Drug Delivery Systems & Technologies, October 18-19, 2018 at Warsaw, Poland; 18th Annual Pharmaceutical Chemical Analysis Congress, November 05-06, 2018 at Madrid, Spain; 19th World Congress on Pharmaceutical Sciences & Innovations in Pharma Industry February 25- 26, 2019 Berlin, Germany; 9th Global Experts Meeting on Neuropharmacology, November 15-16, 2018 at Frankfurt, Germany; 3rd International Conference on Generics Drugs and Biosimilars, November 15-17, 2018 at Frankfurt, Germany; Exhibition, December 02-06 2018 at Anaheim, USA; 78th Congress of Pharmacy and Pharmaceutical Sciences, September 02-06, 2018 at Glasgow, UK; 14th Nanomedicine and Pharmaceutical Nanotechnology Conferences, April 09-11, 2019, London, UK. 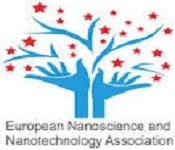 Societies in Europe: European Association for Clinical Pharmacology (EACPT) | International Society of Pharmacovigilance (ISOP) | European Medicines Agency, Pharmaceutical Information and Pharmacovigilance Association (PIPA) | Association of CROs Czech Republic (ACRO-CZ) | European Clinical Research Infrastructures Network (ECRIN) | European Society for Clinical Investigation (ESCI). The pharmaceutical and Toxicological industry is directly impacted by the research conducted with prescription drugs, vaccines, and OTC drugs being manufactured based on findings from the study of life sciences. Clinical trials are conducted to ensure that products being developed are tested on how well they work on individuals affected by the diseases or conditions they are created to treat. 19th World Congress on Pharmaceutical Sciences and Innovations in Pharma Industry February 25- 26, 2019 Berlin, Germany; 11th International Conference on Medicinal Chemistry and Pharmaceutical Technology April 01-02, 2019 Prague, Czech Republic; 15th International Conference and Exhibition on Nanomedicine and Pharmaceutical Nanotechnology March 18-19, 2019 Paris, France; 10th European Conference on Predictive, Preventive & Personalized Medicine and Molecular Diagnostics August 29-30, 2019 London, UK; 22nd International Conference and Exhibition on Pharmaceutical Formulations June 03-04, 2019, London, UK; 6th World Congress and Exhibition on Antibiotics and Antibiotic Resistance June 03-04, 2019 London, UK. In drug development, preclinical development, also named preclinical studies and nonclinical studies, is a stage of research that begins before clinical trials (testing in humans) can begin, and during which important feasibility, iterative testing and drug safety data are collected. The main goals of pre-clinical studies are to determine the safe dose for first-in-man study and assess a product's safety profile. Products may include new medical devices, drugs, gene therapy solutions and diagnostic tools. On average, only one in every 5,000 compounds that enters drug discovery to the stage of preclinical development becomes an approved drug. 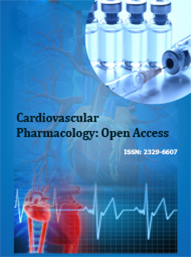 Cardiovascular Pharmacology deals with the study of the effects of drugs upon the heart or circulatory system. It mainly contributes to the safety profile of potential new drugs and provides pharmacological data that can be used for optimization of further compounds and the ultimate selection of compounds suitable for clinical development. The cardiac drugs affect the function of the heart in three main ways. They can affect the force of contraction of the heart muscle (inotropic effects), they can affect the frequency of the heart beat or heart rate (chronotropic effects) or they can affect the regularity of the heart beat (rhythmic effects). Drugs can also affect blood vessels by altering the state of compression of the smooth muscle in the vessel wall, altering its diameter and accordingly directing the volume of blood stream. Such medications are classified as vasoconstrictors or vasodilators depending on the smooth muscle lining contraction and relaxation respectively. 30th European Heart Diseases and Heart Failure Congress February 18-19, 2019 Amsterdam, Netherlands; 22nd International Conference on New Horizons in Cardiology & Cardiologists Education March 07-08, 2019 Berlin, Germany; 5th World Heart Congress April 15-16 2019 Amsterdam, Netherlands; 15th International Conference and Exhibition on Nanomedicine and Pharmaceutical Nanotechnology March 18-19, 2019 Paris, France; 31st Annual Cardiologists Conference June 17-19, 2019 Rome, Italy; European Cardiology Congress July 01-02, 2019 Prague, Czech Republic; 4th International Conference on Cardiovascular Medicine and Cardiac Surgery July 22-23, 2019 London, UK. In a context of severe pharmaceutical pollution, “ecopharmacovigilance” (EPV) has been an area of novel interest. It aims to ensure that significant environmental issues associated with pharmaceuticals in the environment are identified in a timely way, and managed appropriately. EPV has become a research hotspot as a comprehensive and boundary science in Europe and North America, and regulatory requirements governing the comprehensive environmental risk assessment (ERA) of pharmaceuticals exist in these regions. A speedy Chinese pharmaceutical industry development and drug consumption, China should shoulder more international responsibility and contribute to the worldwide EPV. Compared to the west, EPV in China is in its infancy. We analyzed the current state of EPV-related practice in China and found that many efforts have been made by the Chinese government and specialists to control the ever-worsening environmental pharmaceutical pollution problems, including consummating related policies and regulations, revealing the occurrence and behavior of pharmaceutical residues in environment and developing new technologies to improve their removal performance. Drug safety testing is happening in a growing number of countries including Austria, Canada, Colombia, Mexico, the Netherlands, Switzerland, United States and the UK. This briefing discusses testing using sophisticated analytical equipment, not DIY kits that cannot identify many contaminants, or strength. Drug safety testing is happening in a growing number of countries including Austria, Canada, Colombia, Mexico, the Netherlands, Switzerland, United States and the UK. This briefing discusses testing using sophisticated analytical equipment, not DIY kits that cannot identify many contaminants, or strength. Immunopharmacology focuses on the mechanism of action of pharmacologic agents that regulate immune response and the physiologic, pathologic, and pharmacologic role of the products of immune response. Topics include cytokines and their receptors, immunosuppressive drugs, monoclonal antibodies, mechanisms and immunotherapy of allergic disease, clinical transplantation, acquired immune deficiency disease, regulatory T cells, and gene therapy. The book provides most basic principles of immunopharmacology by equally emphasizing the disciplines of immunology and pharmacology, which will be a very valuable tool for both the professional as well as graduate students. Drug safety testing is happening in a growing number of countries including Austria, Canada, Colombia, Mexico, the Netherlands, Switzerland, United States and the UK. This briefing discusses testing using sophisticated analytical equipment, not DIY kits that cannot identify many contaminants, or strength..
All pharmaceutical researchers know the feeling. Somewhere out there must be that elusive molecule — one that will inhibit this enzyme or activate that receptor in the way they want, and without causing unwanted side-effects. But finding it is another matter. For small-molecule drugs — the mainstay of the pharmaceutical industry — time-consuming and expensive screening is needed to pick out promising candidates from the vast number of natural and synthetic compounds available. Testing large numbers of compounds to see if they produce an appropriate biochemical or cellular effect is usually one of the first steps in the drug-discovery pathway, and ways of making this screening faster, more effective and less expensive are in continual development. Safety pharmacology evaluations are an essential step in assessing acute and potentially life-threatening risks of novel pharmaceuticals as part of an IND-enabling program. Second-tier safety pharmacology studies can be used to determine mechanistic effects on vital functions and evaluate potential adverse effects on organ systems such as renal and gastrointestinal systems. Statistical analysis is one of the foundations of evidence-based clinical practice, a key in conducting new clinical research and in evaluating and applying prior research. In this paper, we review the choice of statistical procedures, analyses of the associations among variables and techniques used when the clinical processes being examined are still in process. We discuss methods for building predictive models in clinical situations, and ways to assess the stability of these models and other quantitative conclusions. Techniques for comparing independent events are distinguished from those used with events in a causal chain or otherwise linked. Attention then turns to study design, to the determination of the sample size needed to make a given comparison, and to statistically negative studies. 10th Annual Conference on Bioenergy and Biofuels April 25-26, 2019 Helsinki, Finland; 14th World Bioenergy Congress and Expo June 06-07, 2019 London, UK; 9th World Congress on Biopolymers & Bioplastics August 26-27, 2019 London, UK; 4th Glycobiology World Congress September 17-19, 2018 Rome, Italy;13th International Conference on Metabolomics and Systems Biology October 11-12, 2018 Zurich, Switzerland; 12th International Conference on Advancements in Bioinformatics and Drug Discovery November 26-27, 2018 Dublin, Ireland; 9th International Conference and Exhibition on Advanced Cell and Gene Therapy March 21-22, 2019 Rome, Italy;7th International Conference on Integrative Biology April 15-16, 2019 Berlin, Germany; 10th Tissue Repair and Regeneration Congress June 10-12, 2019 Helsinki, Finland. Adverse drug reactions can be considered a form of toxicity; however, toxicity is most commonly applied to effects of overingestion (accidental or intentional) or to elevated blood levels or enhanced drug effects that occur during appropriate use (eg, when drug metabolism is temporarily inhibited by a disorder or another drug). For information on toxicity of specific drugs see the table Symptoms and Treatment of Specific Poisons. Side effect is an imprecise term often used to refer to a drug’s unintended effects that occur within the therapeutic range. Because all drugs have the potential for adverse drug reactions, risk-benefit analysis (analyzing the likelihood of benefit vs risk of ADRs) is necessary whenever a drug is prescribed. In the US, 3 to 7% of all hospitalizations are due to adverse drug reactions. ADRs occur during 10 to 20% of hospitalizations; about 10 to 20% of these ADRs are severe. These statistics do not include the number of ADRs that occur in ambulatory and nursing home patients. Although the exact number of ADRs is not certain, ADRs represent a significant public health problem that is, for the most part, preventable. 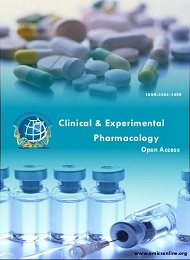 European Journal of Pharmacology | British Journal of Pharmacology | Journal of Pharmacological Research | Journal of Molecular Pharmacology | Journal of Pharmacological Reviews | Journal of Pharmacology & Therapeutics | The Journal of Clinical Pharmacology | Journal of Pharmacy and Pharmacology | Journal of Pharmacology and Experimental Therapeutics | Journal of Environmental Toxicology and Pharmacology| Journal of Vascular Pharmacology | Journal of Toxicology and Applied Pharmacology |journal of Neuropsychopharmacology | Canadian Journal of Physiology and Pharmacology | Journal of Pharmacology & Pharmacotherapeutics | Journal of Clinical and Experimental Pharmacology and Physiology | Journal of Cancer Chemotherapy and Pharmacology | International Journal of Neuropsychopharmacology | Journal of Behavioural Pharmacology |Journal of Pharmacology Biochemistry and Behavior | American Journal of Pharmacology | journal of Alimentary Pharmacology & Therapeutics | Journal of Expert Review of Clinical Pharmacology | Journal of Biochemical Pharmacology | Journal of Regulatory Toxicology and Pharmacology | Journal of Clinical Pharmacokinetics | journal of Current Opinion in Pharmacology |Journal of Clinical Psychopharmacology . 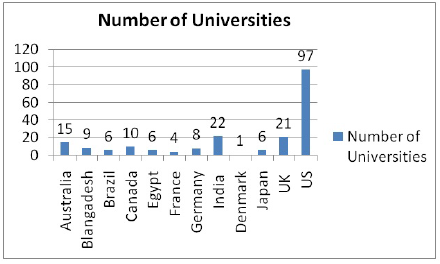 University of Harvard |University of Cambridge |University of Monash |University of Copenhagen |University of Chicago |University of California, San Francisco |University of Oxford |National University of Singapore (NUS) | University of Yale |University of Toronto |The University of Sydney |University of Purdue | University of Uppsala |University of Washington |University of Johns Hopkins | The University of Melbourne| University of Alberta | The University of Hong Kong | The University of Auckland |University of Bosto |University of Cardiff University |The University of Tokyo| University of Otago |University of Charles | University of Bradford | University of Nottingham | University of Johns Hopkin |University of British Columbia . University of Harvard University | University of California--San Diego | University of North Carolina--Chapel Hill | University of Washington |University of Copenhagen | University of California--San Francisco | University of Monash | University of Stanford |University of Oxford |University of Toronto |University College London |University of Duke | Catholic University of Leuven | Seoul National University | University of Nottingham | University of Edinburgh | University Stanford | University of New York | University of Southern California | University of Texas | University of Boston | University of Princeton . National University of Singapore (NUS) |The Hong Kong University of Science and Technology (HKUST) | University of Hong Kong (HKU) | Tsinghua University | Fudan University | City University of Hong Kong | Peking University. Sanofi | Johnson & Johnson | Merck & Co | Novartis | AbbVie | Cadila Healthcare | Eli Lilly and Company | Emcure Pharmaceuticals | Ipca Laboratories | NovaBay Pharmaceuticals | Ranbaxy Laboratories | Torrent Pharmaceuticals | Octapharma | Emergent BioSolutions |Gilead Sciences | GlaxoSmithKline | Roche | Pfizer| Amgen |Mavalon Therapeutics |Teva Pharmaceutical Industries | Boehringer Ingelheim | NovoNordisk | Dainippon Sumitomo Pharma| TakedaPharmaceutical |Allerganplc | Cipla |AstellasPharma |AstraZeneca |Avax Technologies |ViraTherapeutics |Arsanis Biosciences | Nabriva Therapeutics| s-TARget Therapeutics| Savira Pharmaceuticals|TUBE Pharmaceuticals| Rewind Therapeutics| Confo Therapeutics| Bone Therapeutics| iTeos Therapeutics Formac Pharmaceuticals |Syndesi Therapeutics| Novadip Biosciences| Promethera Biosciences | Ajinomoto Bio-Pharma Services | Embark Biotech | MC2 Therapeutics |AFYX Therapeutics | Ascendis Pharma |Barr Pharmaceuticals|Beximco Pharmaceuticals Ltd|CoCo Therapeutics| Axcan Pharma | Ego Pharmaceuticals| GPC Biotech| Fresenius Medical Care| Aspen Pharmacare| Apotex Inc.| Alembic Pharmaceuticals Ltd. The pharmaceutical industry comprises of companies that are engaged in research, development, manufacture and distribution drugs for human or veterinary use. The primary function of the research-based pharmaceutical corporations is to create value by discovering and producing effective medicines, vaccines and services that improve patients’ well-being, and can be sold in markets at a profit. As well as increasing shareholder value, this contributes significantly to the quality and protection of life and helps make the world a better place. In the past 60 years, innovation and technology have driven huge improvements in global health. Every clinical trial in Austria has to be approved by the Federal Office for Safety in Healthcare and needs a positive opinion of the ethics committee. Details on terminological definitions and on the requirements and implementation of clinical trials are set out in the Medicinal Products Act in § 2a and § 28 to § 48. The objective is to prove the effectiveness and tolerability of these forms of treatment and to improve the medical care of future patients. In principle, a distinction is made between clinical trials (intervention studies) and non-interventional studies. The global $1.12 trillion market in 2022, will rise at a faster clip during 2016-2020, then slow down a bit as major patent expiration take hold. It is expected that the global market declined by 1.0% in 2015, but will grow by 4.8% this year. Prescription sales excluding generics will rise 4.4% this year, and expected to reach $1.006 trillion in 2022. Generics sales will increase from $73 billion in 2015 to $115 billion in 2022, and constitute 10.2% of prescription sales at that point only 0.3 percentage points more than it is now. The global market for drug discovery technologies and products was worth $38.4 billion in 2011. This figure is projected to reach $41.4 billion in 2012 and $79 billion in 2017, a five-year compound annual growth rate (CAGR) of 13.8%. There is a need to impede serious adverse effects caused by the drugs by enhancing drug targeting through research in pharmacology. The global revenue for single use technology reached $1.4 billion and $1.7 billion in 2013 and 2014, respectively. 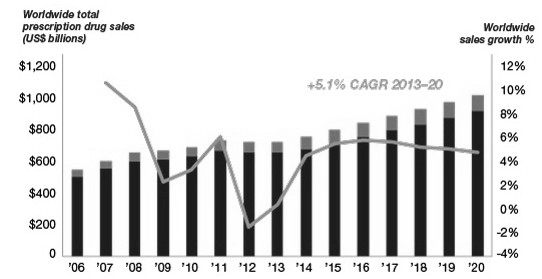 This market is expected to grow at a compound annual growth rate (CAGR) of 11.7% to nearly $3.0 billion for the period 2014-2019. The fast-growing division of the pharmaceutical market includes generics and biologics. Biologics now account for over a third of all new drugs in clinical trials or awaiting FDA approval.15 U.S generic drug sales reached an estimated $70 billion, representing a quarter of the global market, due to a large number of drugs going off-patent and healthcare reforms favoring generics. Although generics make up only 22 percent of total prescription sales, its share of filled prescriptions has risen from 19 percent in 1984 to 88 percent in 2015. The research-based pharmaceutical industry is estimated to have spent nearly USD 149.8 billion globally on pharmaceutical R&D in 2015-16. Among all the industrial sectors, the research-based pharmaceutical industry has consistently invested the most in research and development, even in times of economic turmoil and monetary crisis. According to the QuintilesIMS Institute predicts that the pharmaceutical market by 2021 will reach nearly USD 1,485 billion, by an increase of USD 350-380 billion from the USD 1,105 billion recorded in 2016. Global brand spending is forecast to increase to USD 815-832 billion in 2021. Global generic spending is expected to increase to USD 495-505 billion by 2021. The United States share of global spending will increase from USD 461.7 billion in 2016 to USD 645-675 billion in 2021, while the European share of spending will grow from USD 151.8 billion to USD 170-200 billion. Meanwhile, pharmerging countries will spend nearly 315-345 USD billion in 2021 from 242.9 in 2016. These data describe the outcome of the patient as defined in U.S.reporting regulations. Serious means that one or more of the following outcomes were documented in the report: death, hospitalization, life threatening. There is a need to impede serious adverse effects caused by the drugs by enhancing drug targeting through research in pharmacology. We would like to thank all of our wonderful speakers, conference attendees, students, associations and guests for making Pharmacology 2018 a wonderful event! 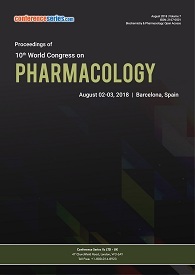 Conference Series hosted 10th World Congress on Pharmacology scheduled during August 02-03, 2018 at Hotel Augusta Barcelona Valles, Barcelona, Spain with the theme “State-of-the-art Education on New Developments in Pharmacology"
The conference had multiple sessions, Keynote presentations, panel discussions and Poster sessions. We received active participation from various scientists, researchers, students and leaders from the field of Pharmacology who made this event successful. Conference series thank all our expert presenters from all around the world which includes various outside experts, University representatives and other eminent researchers who supported the conference by facilitating the discussion forums. With the grand success of Pharmacololgy 2018, Conference Series take the immense pleasure to announce the “24thWorld Congress on Pharmacology" to be held during August 19-20, 2019 at Vienna, Austria. 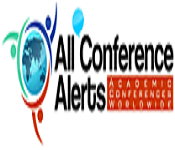 All accepted abstracts will be published in respective Conference Series LLC LTD International Journals.